Welcome to the HALAL LINK the first european business platform. 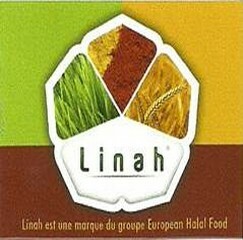 HALAL LINK makes available a variety of products and services. Because the Terms and Conditions contain legal obligations, please read them carefully. By using the Products and Services, you agree, without limitation or qualification, to be bound by, and to comply with, these Terms and Conditions and any other posted guidelines or rules applicable to any individual HALAL LINK web site, Product or Service. Use of the Products and Services is subject to compliance with these Terms and Conditions. You acknowledge and agree that HALAL LINK may terminate your access to HALAL LINK or to any of the Products and Services should you fail to comply with the Terms and Conditions. Any such termination shall be in HALAL LINK's sole discretion and may occur without prior notice, or any notice. 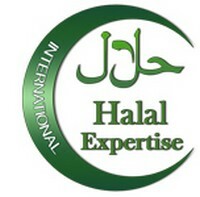 HALAL LINK further reserves the right to terminate any user's access to HALAL LINK or to any of the Products and Services for any conduct that HALAL LINK, in its sole discretion, believes is or may be directly or indirectly harmful to other users, to HALAL LINK or its subsidiaries, affiliates, or business contractors, or to other third parties, or for any conduct that violates any local, or foreign laws or regulations. Certain of the Products and Services will require the user to register and provide certain data. In consideration of use of such Products and Services, in registering and providing such data, you represent and warrant that: (a) the information about yourself is true, accurate, current, and complete (apart from optional items) as required by HALAL LINK registration forms ("Registration Data") and (b) you will maintain and promptly update the Registration Data to keep it true, accurate, current and complete. If you provide any information that is untrue, inaccurate, not current or incomplete, or HALAL LINK has reasonable grounds to suspect that such information is untrue, inaccurate, not current or incomplete, HALAL LINK has the right to suspend or terminate your account and refuse any and all current or future use of the Products and Services. All HALAL LINK registrations become the exclusive property of HALAL LINK, its subsidiaries. HALAL LINK reserves the right to use and reuse all registration and other personally identifiable user information. Users may edit, update, alter or obscure their personally identifiable information at any time by following the instructions located in HALAL LINK sites. 4. Member and User Conduct. Upon registering, you will receive a password and HALAL LINK ID. You are responsible for maintaining the confidentiality of the password and ID, and are fully responsible for all activities that occur under your password or ID. You agree to (a) immediately notify HALAL LINK of any unauthorized use of your password or account or any other breach of security, and (b) ensure that you exit from your account at the end of each session. HALAL LINK cannot and will not be liable for any loss or damage arising from your failure to comply with this requirement. You acknowledge and agree that all information, code, data, text, software, music, sound, photographs, pictures, graphics, video, chat, messages, files, or other materials ("Content"), whether publicly posted or privately transmitted, are the sole responsibility of the person from which such Content originated. This means that you, and not HALAL LINK, are entirely responsible for all Content that you upload, post, email or otherwise transmit via the Services. HALAL LINK does not control the user or third party Content posted via the Products and Services, and, as such, does not guarantee the accuracy, integrity or quality of such user or third party Content. You acknowledge and Agree that by using the Products and Services, you may be exposed to Content that is offensive, indecent or objectionable. Under no circumstances will HALAL LINK be liable in any way for any user or third party Content, including, but not limited to, for any errors or omissions in any such Content, or for any loss or damage of any kind incurred as a result of the use of any such Content posted, emailed or otherwise transmitted via the Products and Services. As a general matter, HALAL LINK does not pre-screen user or third party Content posted on HALAL LINK, except for certain areas where HALAL LINK employs certain automated screening software, although HALAL LINK reserves the right to do so. HALAL LINK does not guarantee that any screening will be done to your satisfaction or that any screening will be done at all. HALAL LINK reserves the right to monitor some, all, or no areas of the Products and Services for adherence to these Terms and Conditions or any other rules or guidelines posted by HALAL LINK. - Upload, post, email, otherwise transmit, or post links to any Content, or select any member or user name or email address, that is unlawful, harmful, pornographic or otherwise objectionable. - To post non halal products or services. - Collect or store personally identifying information about other users for unlawful purposes. You acknowledge and agree that HALAL LINK and its designees shall have the right (but not the obligation), in their sole discretion, to refuse to publish, remove, or block access to any Content that is available via the Products and Services at any time, for any reason, or for no reason at all, with or without notice. HALAL LINK may also terminate access to, or membership in HALAL LINK, or any portion thereof, for violating these Terms and Conditions. You acknowledge and agree that you must evaluate, and bear all risks associated with, the use of any Content, including any reliance on the accuracy, completeness, or usefulness of such Content. In this regard, you acknowledge that you may not rely on any Content created by or obtained through the use of HALAL LINK Products and Services. You expressly acknowledge and agree that HALAL LINK may preserve Content and may also disclose Content if required to do so by law or in the good faith belief that such preservation or disclosure is reasonably necessary to: (a) comply with legal process; (b) enforce the Terms and Conditions; (c) respond to claims that any Content violates the rights of third-parties; or (d) protect the rights, property, or personal safety of HALAL LINK, its users and the public. You acknowledge and agree that the technical processing and transmission of the Products and Services, including your Content, may involve (a) transmissions over various networks; and (b) changes to conform and adapt to technical requirements of connecting networks or devices. HALAL LINK also may suspend or terminate any user account for any Product or Service because of user inactivity. For example, a HALAL LINK account may be terminated or suspended if a user fails to sign-in to HALAL LINK Service for an extended period of time; please see HALAL LINK Rules and Regulation section for more information regarding HALAL LINK's policies concerning account termination. The Service, including the Site and content, and all server and network components are provided on an "as is" and "as available" basis without any warranties of any kind, to the fullest extent permitted by law and Halal Link expressly disclaims any and all warranties, whether express or implied, including, but not limited to, the implied warranties of merchantability, title, fitness for a particular purpose, and non-infringement. You acknowledge that Halal Link does not warrant that the service will be uninterrupted, timely, secure, error-free or virus-free and no information or advice obtained by You from Halal Link or through the Service shall create any warranty. Under no circumstances and under no legal theory (whether in contract, tort, or otherwise) shall Halal Link be liable to You or any third party for any indirect, incidental, special, exemplary, consequential or punitive damages, including lost profits, lost sales or business, lost data or business interruption. In addition, Halal Link shall not be liable for any direct damages, costs, losses or liabilities in excess of the monthly service fee paid or payable by You for the one month preceding the time of any claim for monetary damages. Halal Link shall not be held responsible for data hosted on its servers. It is Your responsibility to maintain local copies of their data and maintain proper and sufficient insurance if coverage is required with respect to data loss. 6. License to Member Web Page. By submitting a web page to HALAL LINK, or any other web page hosting service on HALAL LINK, you grant HALAL LINK a world-wide, royalty-free, nonexclusive, worldwide, unrestricted license to use, copy, transmit, publicly display, publicly perform, create compilations including, and distribute such web page, and any associated Content, for the limited purposes of publishing and promoting the user's web page in connection with the particular service with which the user has chosen to have the web page hosted and for publishing and promoting such web page elsewhere within HALAL LINK. Such license shall apply with respect to any form, media, or technology now known or later developed. The term of the license will extend only for the duration of the user's membership with the particular HALAL LINK service. You acknowledge and agree that HALAL LINK runs advertisements on the web pages of its users and grant HALAL LINK the right to do so. These advertisements may include, without limitation, "banner" advertisements and "pop-up text" advertisements. The manner, mode, and extent of such advertising is subject to change. 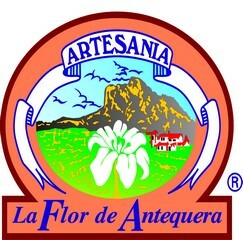 Information on this web site may contain inaccuracies or typographical errors. Information may be changed or updated without notice. HALAL LINK makes no representations whatsoever about other web sites which you may access through this one. 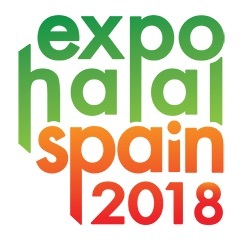 When you access a non-HALAL LINK web site, please understand that it is independent from HALAL LINK, and that HALAL LINK has no control over the content on that web site. 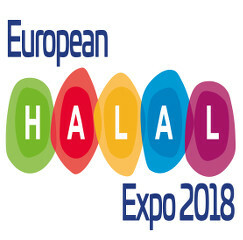 In addition, a link to a non-HALAL LINK web site does not mean that HALAL LINK endorses or accepts any responsibility for the content, use, or products and services made available through such web site. IN NO EVENT WILL HALAL LINK BE LIABLE TO ANY PARTY FOR ANY DIRECT, INDIRECT, SPECIAL OR OTHER CONSEQUENTIAL DAMAGES FOR ANY USE OF THIS WEB SITE, OR ANY OTHER HYPERLINKED WEB SITE, INCLUDING, WITHOUT LIMITATION, ANY LOST PROFITS, BUSINESS INTERRUPTION, LOSS OF PROGRAMS OR OTHER DATA OR OTHERWISE, EVEN IF WE ARE EXPRESSLY ADVISED OF THE POSSIBILITY OF SUCH DAMAGES. You must pay all fees by the due dates. The amount You pay per billing cycle is linked to the selected Membership account. If you change / increase your User Account in the middle of a billing cycle, Halal link will invoice you for the pro-rated amount to take You up to the next billing date. On that billing date You will be billed the new amount. If You switch to a Solution which costs more, the same process applies. If you You switch to a Solution which costs less, we will not refund the difference and You will pay the new, lower amount on the next billing date. Halal Link reserves the right to change prices at any time. There is no specific refund policy. Halal Link offer a 15 day evaluation account that should be used to evaluate and test the Services before purchasing. Any refunds will be made entirely at Halal Link's discretion. Halal Link reserves the right to refuse sale of the services to anyone.